'Translations' returns to the National Theatre in October 2019. This review is from 2018. 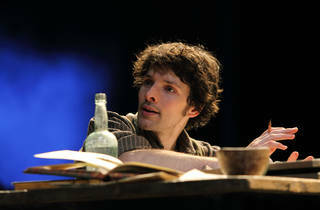 Ropey ‘Macbeth’ aside, the National Theatre’s mercurial Olivier has been crushing it vis-à-vis revivals lately. Hot on the heels of ‘Follies’ and ‘Amadeus’ comes this fine take on the late Brian Friel’s 1980 masterpiece, ‘Translations’. 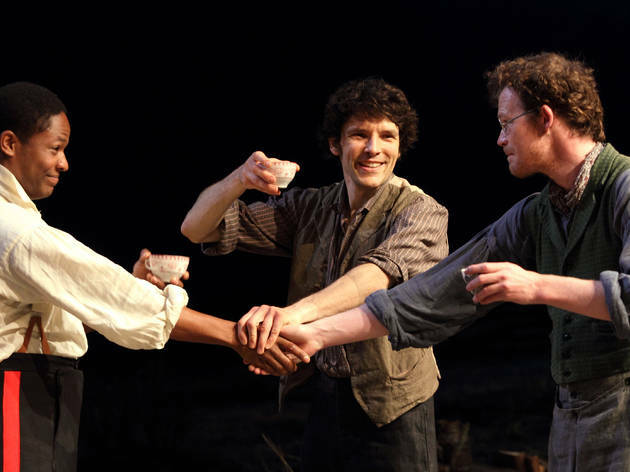 In a way, Friel’s play about a British Ordnance Survey expedition’s attempts to map and translate the place names of a rural slice of Donegal in 1833 is so rock solid that it’s tempting to think all director Ian Rickson needs to do is make sure his cast know their lines and point them in the right direction. Its great conceit is a deceptively simple linguistic trick. 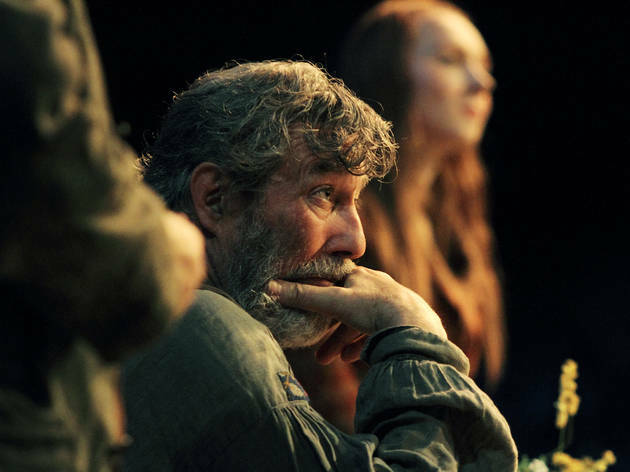 As the play opens, in the hedge school run by intense, earnest teacher Manus (Seamus O’Hara) and his loquacious, self-mythologising father Hugh (Ciarán Hinds), we see a group of locals sitting around discussing Ancient Greek and Latin literature. Ten or so minutes in, it’s revealed that the ‘English’ they’re speaking is, in fact, Gaelic; when a contingent of British engineers led by Adetomiwa Edun’s Lieutenant Yolland show up, the entire cast continue to speak in English, but the two nationalities can’t understand each other (the Irish are further bemused that the British can’t speak Latin or Greek). 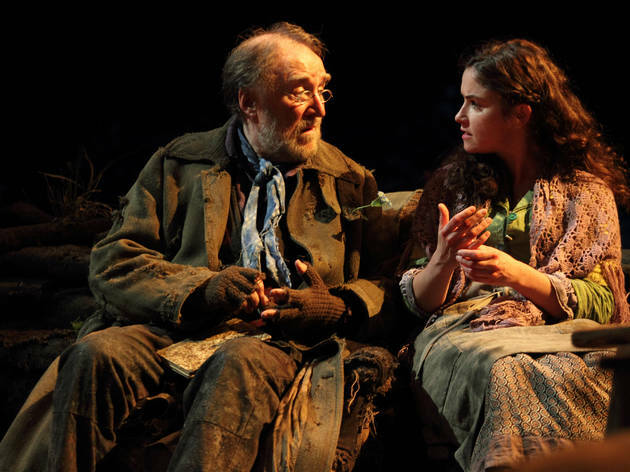 It is a brilliant idea: understated enough that Friel can use it to deftly tell a bilingual story without surtitles or whatnot, but much deeper in its symbolism. It’s poignant that the Irish characters are speaking in English because the language of the colonisers would go on to swallow these people whole in just a generation or two. It’s even more poignant that the British and Irish characters are technically speaking the same language but can’t understand one another – a perfect metaphor for the ongoing history of our two nations if ever there was one. 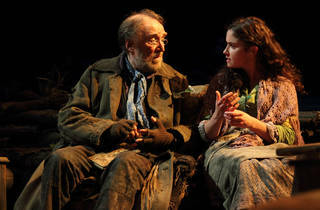 Friel has provided the special effects in the language; in a way, all a cast needs to do is not screw them up. 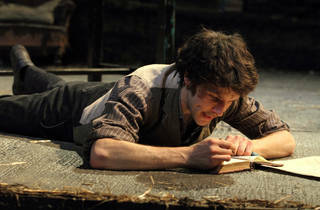 This they surely don’t: Rickson’s revival is awash with talent, foremost Hinds as the shambolic but shamanic Hugh, and the charismatic Colin Morgan as Owen, whose burning intelligence and passionate love of language have driven him towards the British, not away, as he enthusiastically aids a mapping project whose deeper consequences he cannot predict. Edun is intensely likeable as a carefree, romantic Yolland, who falls hard for Donegal and Judith Roddy’s local lass Máire. (By the by, it’s interesting that Edun is the sole actor of colour in a production that doesn’t really feel colour-blind in casting – it might mean absolutely nothing, but there is perhaps a subliminal sense that it lends the character a distance from the colonising establishment). 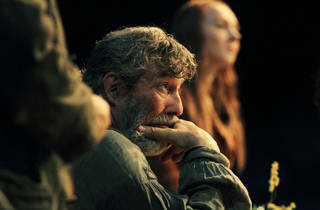 Rickson and designer Rae Smith know that this is a play in which the text takes centre stage. 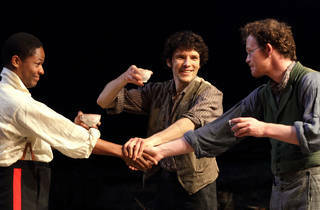 What they have brought to the table, with their detailed, sepia-toned production, is a feeling of intimacy. 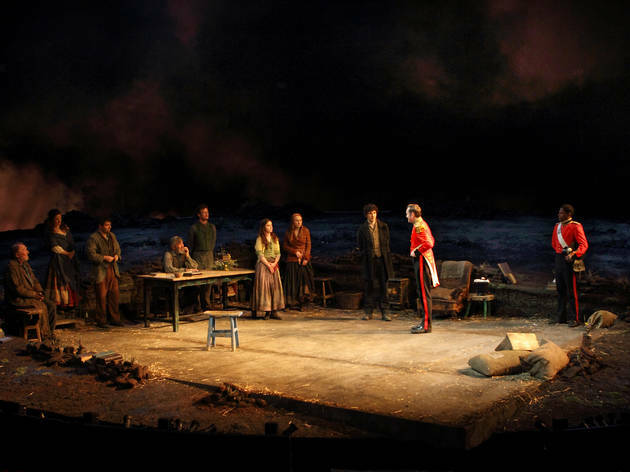 The temptation with the Olivier is to make everything MUCH BIGGER; here, in fact, it feels as personal as a performance in the Dorfman, the action virtually all taking place within a few square metres at the front of the stage. Smith uses the space to create a sense of rural Ireland’s expanse, but she limits it too – a constant veil of mist conceals the height of the ceiling. As with much of Rickson’s work, the ambience is stunning. When the mood starts to darken following Yolland’s unexplained disappearance, words become punctuated by a slow symphony of dripping rain, while subtle drones sour the atmosphere. It’s rarely flashy but always effective. There is one major directorial intervention, brief but unmissable. Right at the end, the backlights turn into watchtowers with black-clad, machine-gun-toting soldiers atop them, in a clear allusion to The Troubles. Is it a bit on the nose? Perhaps, but then, as Brexit threatens to drive a fresh wedge between Britain and Ireland, it would be a bit toothless not to make the allusion. 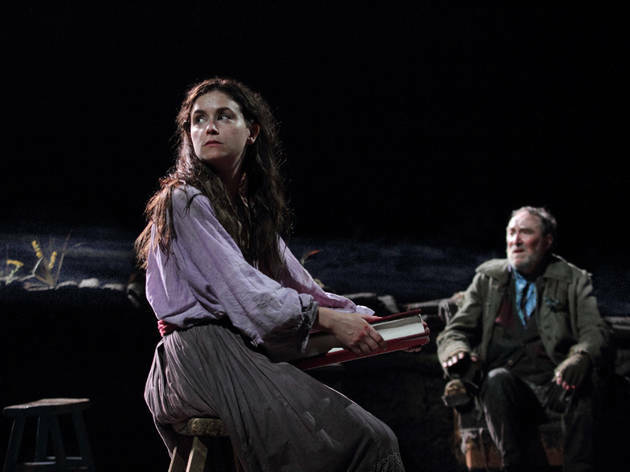 In any case, Friel’s exquisite, diamond-cut play can most certainly take it. Interesting piece which really drew my attention and made my want to watch this. It is not my favourite thing I have seen in the National, but it also does not rank too highly on my must-watch list. The acting was superb and could not be faulted, but it felt a little long. The set was good but did not pull me into the piece unlike some of the other more recent productions at the National have done. 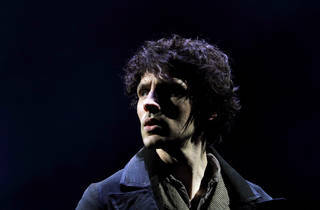 I think Ciaran Hand's brilliant performance will make me watch whatever his next show will be, and I hope it will be more engaging than this round. From the start of this play, I wasn't fully engaged and I was waiting for it to get better and unfortunately it didn't. It felt dwarfed by the grand scale of the Olivier, It would have been better suited to the Dorfman. So many scenes felt unfinished and stand alone, not really working as one coherent piece. The acting is great and can't be faulted, the actors are let down by this uninteresting script. 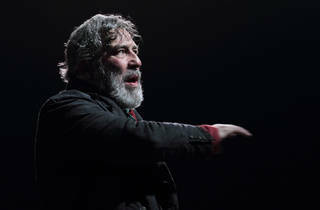 The current version of 'Translations' is subtle, understated, and focuses on the performances, rather than using the spectacular nature of the Olivier as a stand-in for decent writing and great acting, which after a lot of sub-standard productions at the NT of late, came as something of a relief. The family relationships, the relationships of the local community, and the invasive force of the British soldiers worked with a beautiful tension as the story played out towards its inevitable conclusion, and I totally bought into the interplay between the central family and the people whose lives they touch. 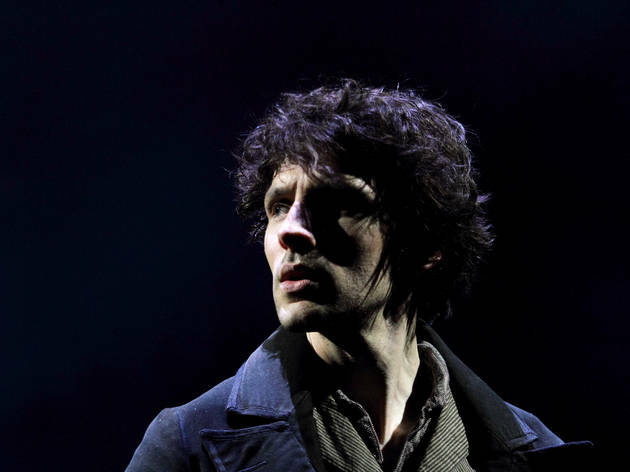 I found that I didn't care about the lack of fancy staging, as the quality of acting was enough. All in all, well worth catching. I had never seen Translations before but by the end I felt as if I had somehow sat through it hundreds of times because of how derivative and ordinary the text is. 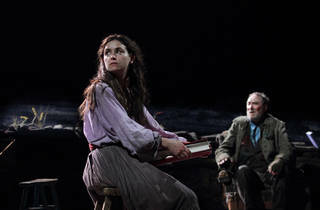 Being a play that has been hailed as a masterpiece since 1980 and has been on the A-level syllabus for years I was surprised at how dramatically weak it was throughout. The celebrated scene where two characters fall in love without language felt like something from a second-rate rom-com or Disney movie. 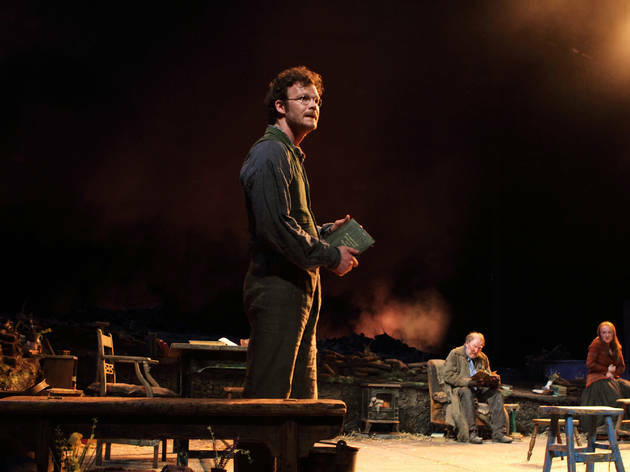 Characters are set up throughout the length of the play to be left standing at the end with no sense of dénouement. 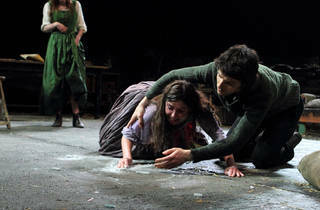 The main characters are acted upon and static while the audience is left to put the pieces together themselves. Knowing a fair bit about Irish history before you go in is also advised even though this suggests the writing doesn’t do enough to justify its setting. The attempt by some reviewers to stuff some kind of reference to Brexit into the play would be insulting if it wasn't so ridiculous, this play would have seemed dated in 1980 let alone 2018. 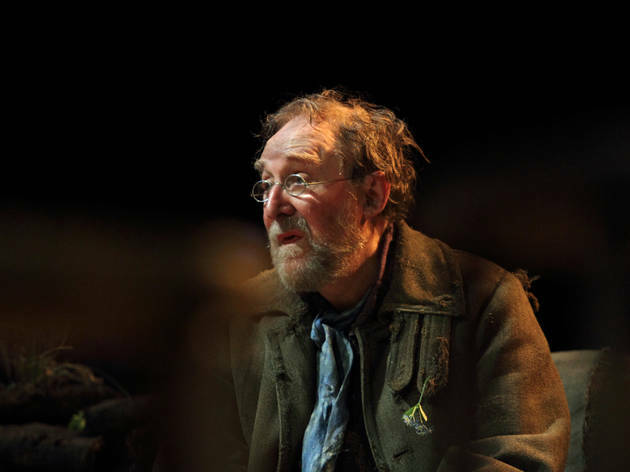 The performances throughout were good if unexceptional, while the set betrays the fact that this play is meant for a much smaller space as a good two thirds of the Oliver stage is empty and underutilised. Language changes and the people who control it have enormous power over others. There are some aspects of the human condition that transcends the spoken word. Innocent people pay the price for conflict. Putting cliché on stage doesn’t make it a classic, it makes it pointless. 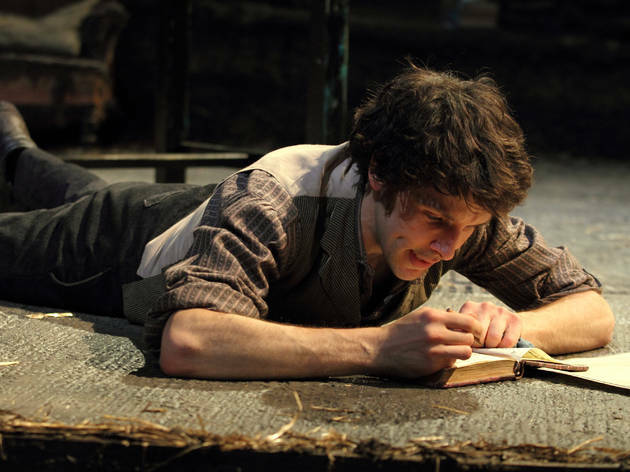 I love this play and this production of it is wonderful. 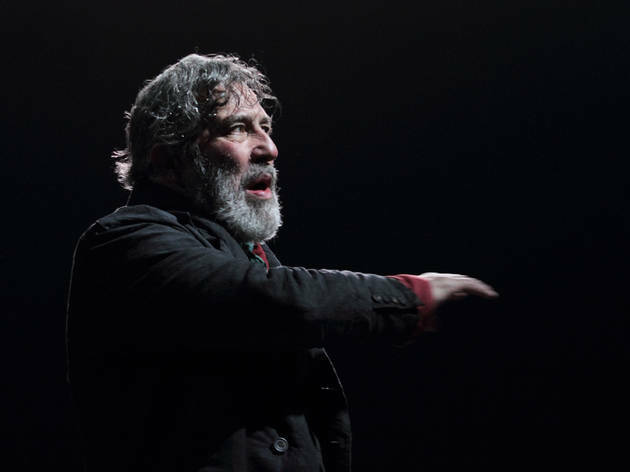 Ciaran Hinds is amazing, actually everyone in it is fantastic, it is a play about language and about words and you feel that each actor here loves the words that they are saying. I even love the set. 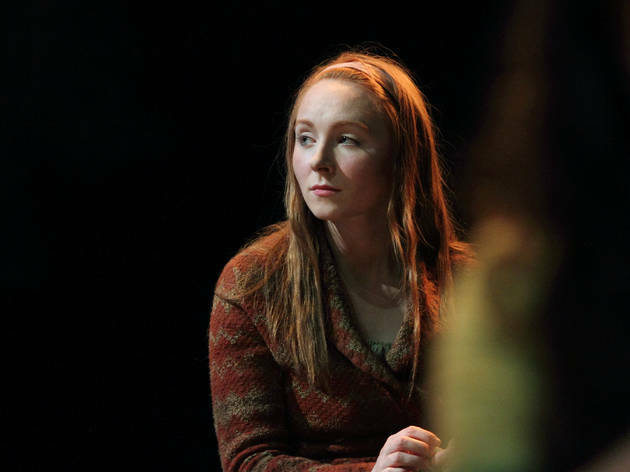 The school feels intimate and close by, even though the stage of the Olivier is huge. 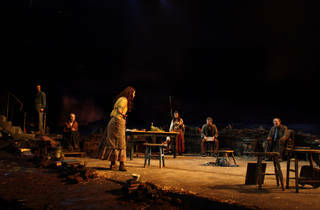 The rest of the set really has the look of rural Donegal. 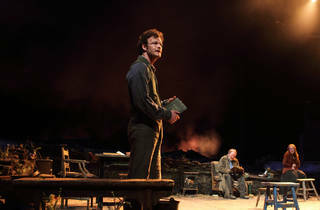 The play is funny and sad, it is warm and bleak and you will spend the next day thinking about what you have just seen. A beautiful piece of writing, beautifully presented and performed. This play is not suited to the Olivier. It's way to naturalistic. 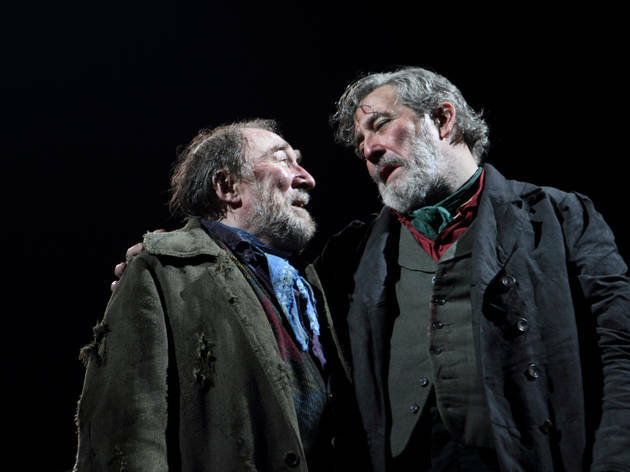 It also has a very dated feel, with it's scenes of hammy drunken characterisation and knowing nods to the Greek classics (knowing to some in the audience who chortled along). The celebrated word play scene between the two lovers is also passe as well. Try watching it from the circles, you will probably will miss out on at least a third of what they say. 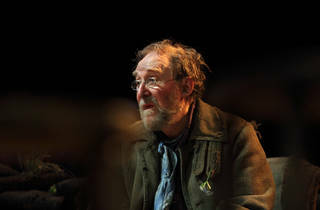 Brian Friel's arguably most famous and successful plays Translations is back at the National, having had a 13 year hiatus, yet it is still as relevant today as it was then, even more so, as I watched it the same day Ireland made it's historic vote on abortion. 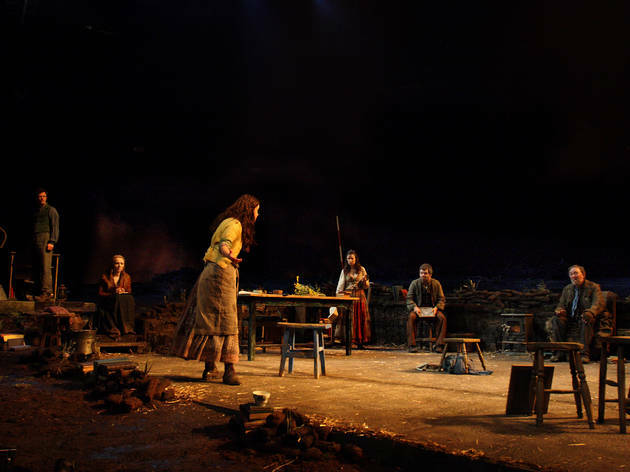 It seemed almost fitting to watch a classic Irish play about changing identity and the effects not only on a community, but ultimately a country. 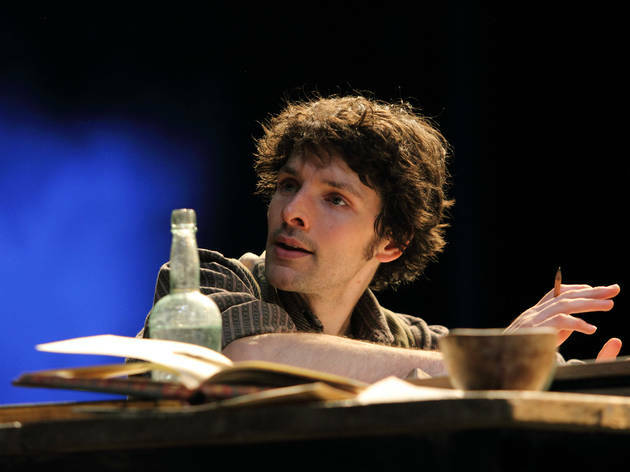 Ian Rickson directs a very powerful and thought provoking production where Owen (Colin Morgan), the son of an well-thought of teacher (Ciaran Hinds) comes back to his home in Donegal. With him he brings two British army Officers, sent to anglicize place names in the local area, to make a map, and return home. This is a play of thought provoking speeches to moments of, perhaps not laugh out loud hilarity, but a chuckle, particularly when Owen is translating what the posh army officers are saying to his Gaelic speaking friends. 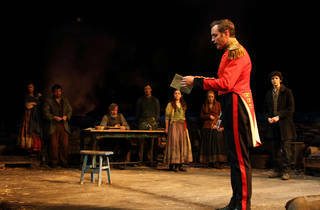 Whilst the entire play is spoken in English, the moments when the characters try to speak English makes for very funny listening, and although England is the closest neighbour, religion has such a great influence over the community that everything is translated into Latin, whereas English is viewed with an uncertain wariness. This is clearly justified from the violence and unbalance the army officers bring. The set seemed at points reminiscent of a previous NT production ‘Common’, that didn’t fair to well. 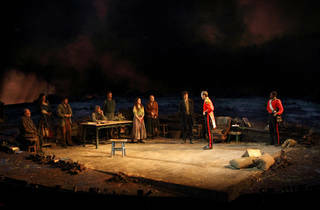 It is interesting that the play was chosen to be performed in the biggest theatre, the Olivier, in 2005 it was in the Cottesloe, now the Dorfman, and smallest space. 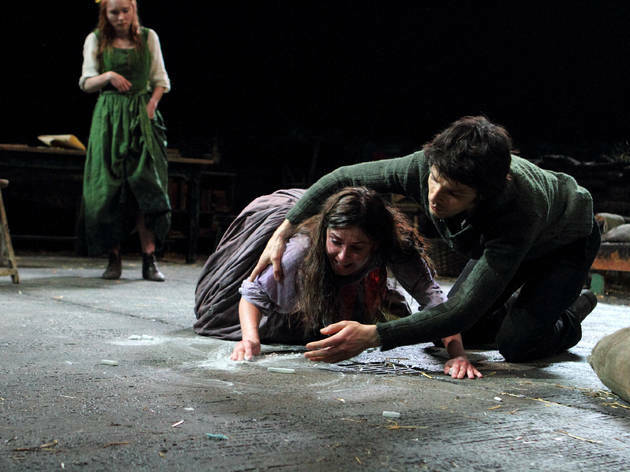 The mud flats which took up the majority of the space meant the stage couldn’t rotate, the first production I have seen where this has happened, some may say an opportunity missed. 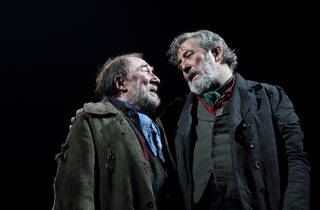 The majority of the action took place downstage centre and whilst this could have felt squashed in, it didn’t, instead reminded me how close both in proximity but also emotional reliance the community are with each other, but also how far others must travel to reach them. This is a good, solid show with some standout performances and well worth a watch.